Keech Australia has won the Manufacturing/Industrial category of the 2014 Bendigo Business Excellence Awards, as well as the overall Bendigo Business of the Year. The Awards were announced at a ceremony last Friday evening, in front of 400 Bendigo businesspeople, representing 39 finalists in 13 categories. Keech Australia Director and owner Garth Keech said the win capped off a successful year for the business. 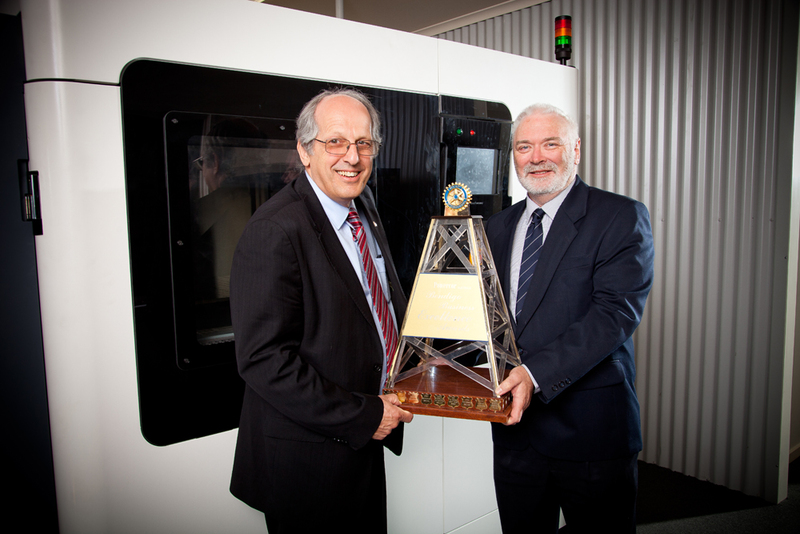 “This year we launched our Keech 3D advanced manufacturing operation, featured in the Australia’s Top 50 Innovative Companies and won the Endeavour Award for Most Innovative Australian Company. CEO Dr Herbert Hermens paid tribute to the company’s employees for their contribution to Keech’s success. Keech Australia is one of the country’s most progressive manufacturers. Its Bendigo foundries produce high integrity steel castings for both national and international mining, excavating, construction, agricultural, rail transport and defense industries. Keech’s patented products are exported to China, Japan, Chile, Russia, Kazakhstan, Sweden, Canada and Brazil.